17 miles (27km) total horizontal distance, over 1,500m (5,000ft) of vertical ascent, 3 peaks. Available between May and October, outside of these dates we consider it winter conditions. However, if you wish to experience that, just ask. Expert driving team. Please note that for safety reasons we adhere to all road traffic safety regulations. Many years' experience in providing challenge events. We aim to complete the challenge within 24 hours; some groups will take less time, others more - the fitter your entire group is, the more likely you will be able to fulfil the challenge! The Welsh 3 Peaks Challenge is an attempt to climb the highest peaks Wales in 'one go'. These peaks are Snowdon, Cadair Idris and Pen-Y-Fan. We complete them in that order on our open events. Exclusive group bookings do have the option to complete the challenge in reverse - if this is of interest, please contact us. Meeting at Manchester late afternoon we travel to your accommodation in Snowdonia on Friday. You will be greeted by your leader for the challenge for a briefing and opportunity to ask any questions you might have. 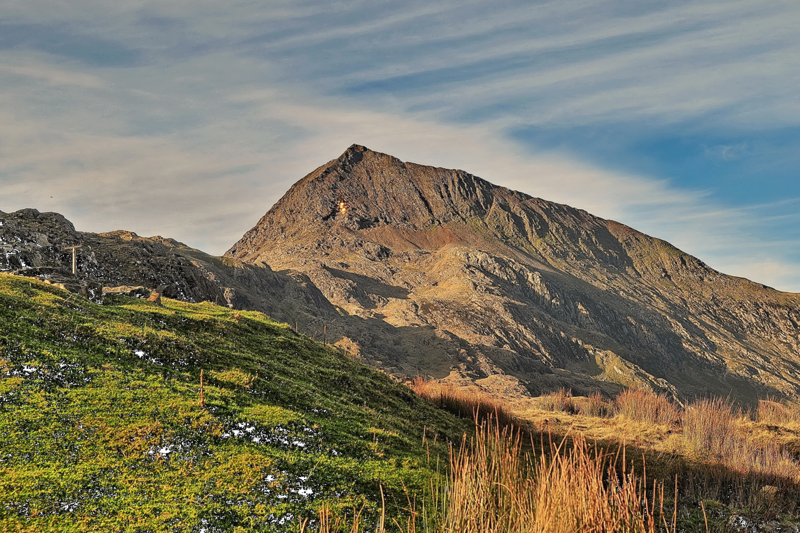 Starting with Snowdon on Saturday morning we then transfer to Cadair Idris in mid-Wales for an afternoon climb before completing a night time climb of our final peak, Pen-Y-Fan. Once we have completed the challenge we’ll head to Cardiff nearby we go our separate ways. The course is guided by qualified mountain leaders and our driver will be with you all the way. Alternative pick-up and drop-off points can be discussed upon request. We aim to finish climbing Pen-Y-Fan very early Sunday morning. Transfer time to Cardiff is then approximately 1 hour and a further 4 hours to Manchester. Please plan onward travel appropriately. Maximum Adventure cannot be held responsible for missed onward travel connections if your travel plans impact on completion of the challenge. Day 1 - Friday: Meet at designated pick up points and transfer to Snowdonia accommodation. Check in to your accommodation, evening briefing, route planning and equipment check with your leader. Day 2 - Saturday: After an early breakfast we depart for Snowdon at approximately 7 am. Our first climb will be a round trip of roughly 4.5 hours. Afternoon transfer to the Cadair Idris, which will take almost 6 hours to climb. Evening transfer and climb of Pen-Y-Fan which should be about a 4 hour round trip. Day 3 -Sunday: Very early morning transfer to Cardiff from which point you will make your onward journey home. You will spend about 22-24 hours from leaving your accommodation to arriving in Cardiff including transfers and scheduled “comfort stops” between peaks. Drop offs in Cardiff after the challenge has finished. We run the Welsh 3 Peak Challenge as an open or bespoke event. Our open events run monthly every Friday to Sunday from May to October. For bookings of 6 people or more, we also run this as an exclusive event on the dates of your choosing. To book any number of participants on to an event, simply select the date in the calendar and follow the booking procedure. You will then receive an automated confirmation and full details will follow from our office in due course.